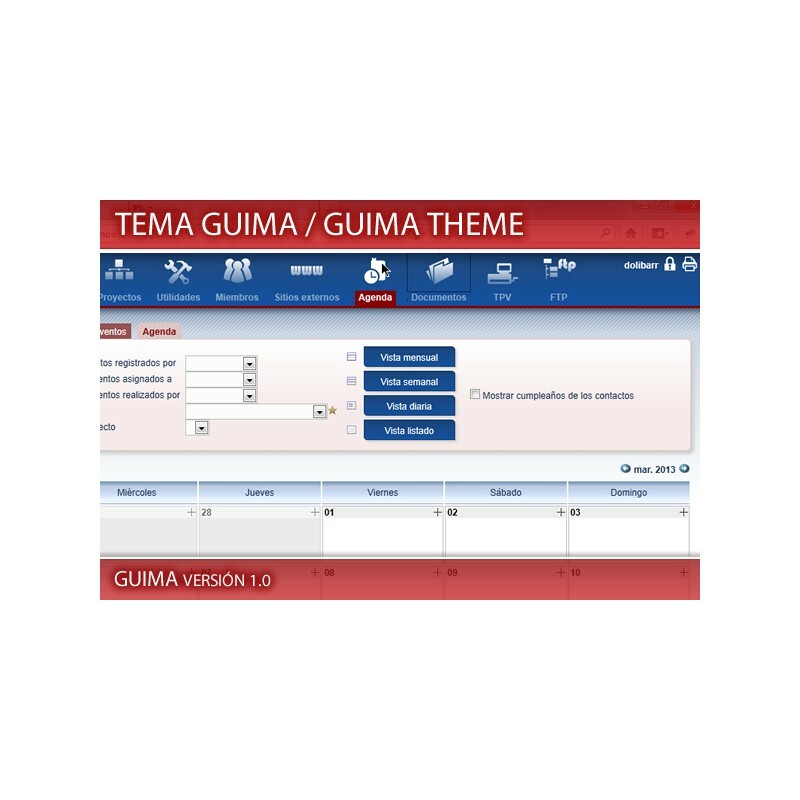 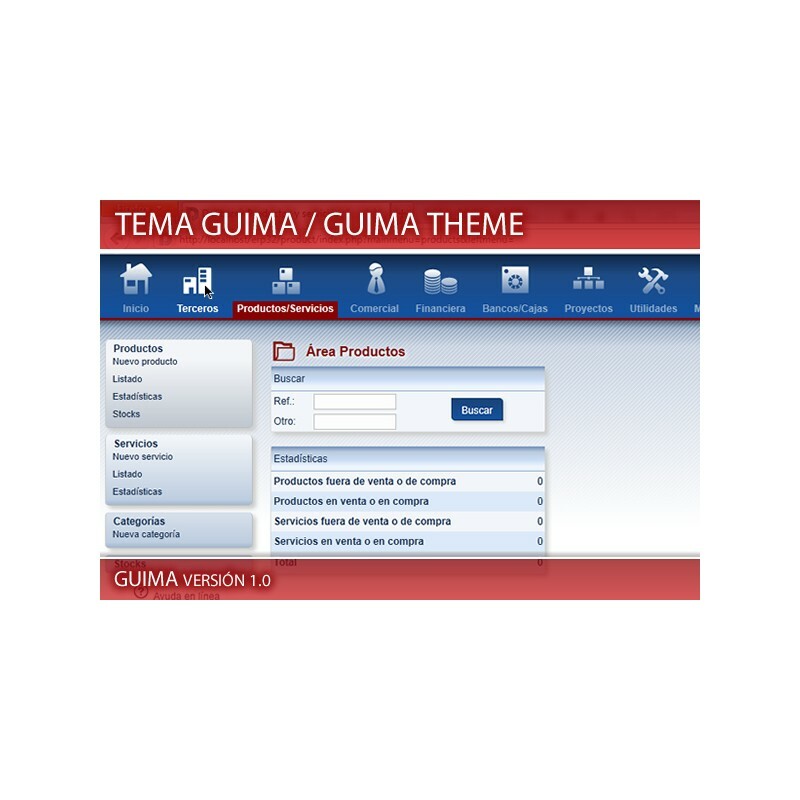 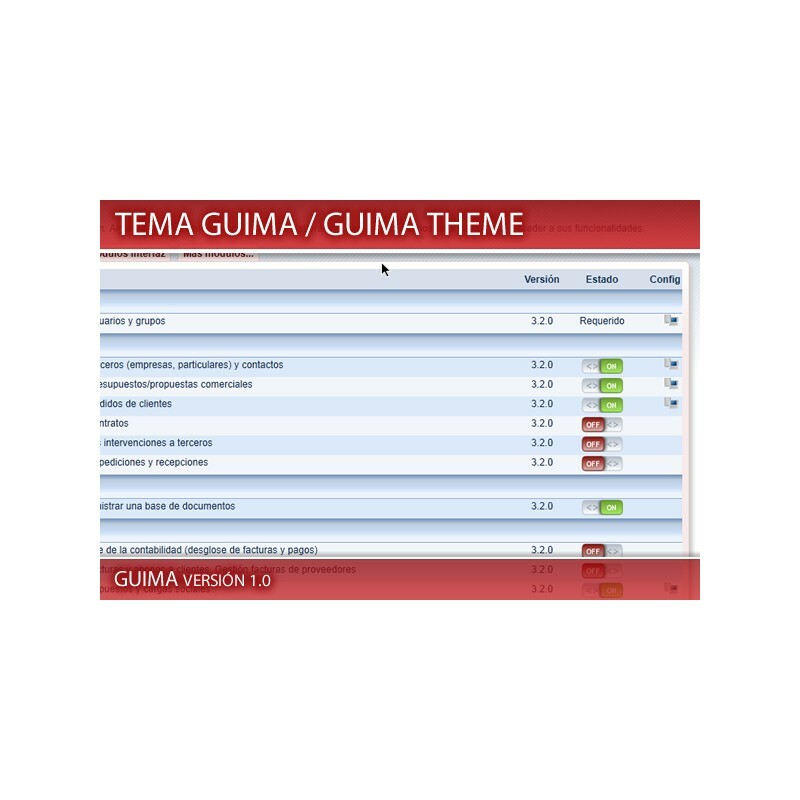 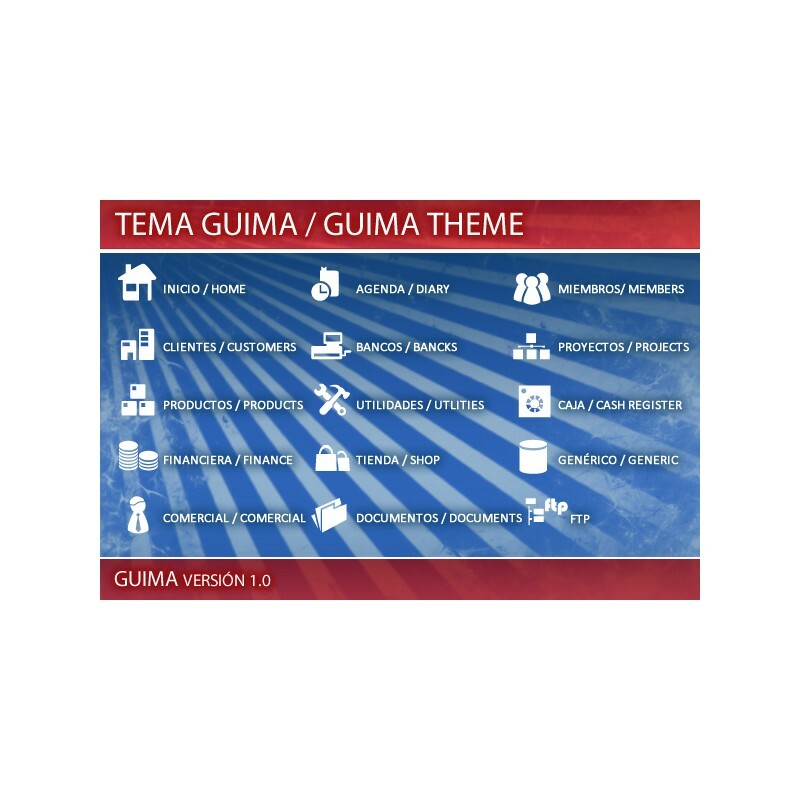 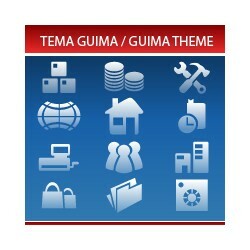 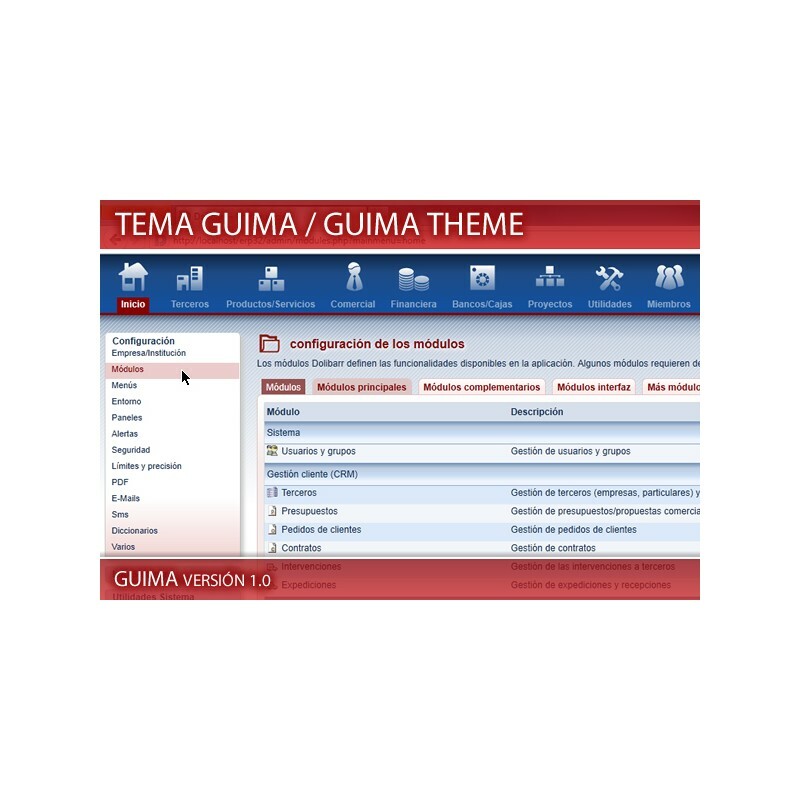 The GUIMA theme warrants a fresh and friendly to users like AXIS,now using white, blue and red colors, for Dolibarr 3.2. to 3.6 Provides a better access to the main menu, this one is fixed on top of the site, for accessing functionality is not necessary to move the scroll if you was at the bottom of a page.NEW iconography with a high level of detail and profesionality. 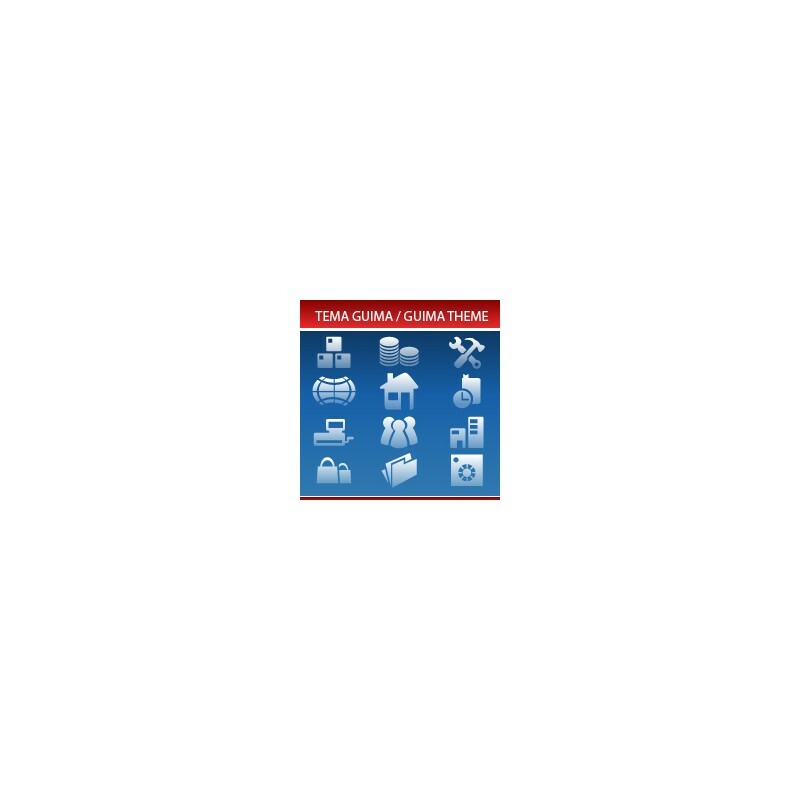 Put the file into the theme directory of Dolibarr. 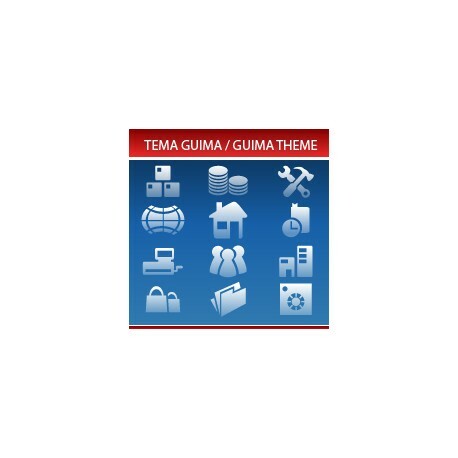 Theme is then available and can be activated.